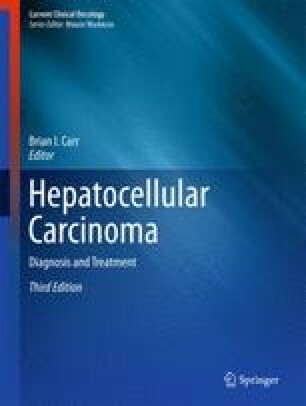 Several serum biomarkers have been proposed for diagnosis and assessment of prognosis in hepatocellular carcinoma (HCC) but none has entered routine clinical practice despite achieving reasonably high values for sensitivity, specificity and area under the ROC curve. After reviewing some of these we show how the performance of individual biomarkers may be enhanced by combining several different biomarkers in rigorously developed and validated statistical models. In such models the constituent biomarkers are considered as continuous variables rather than, as in conventional clinical practice, dichotomised with the application of cut-off points. This approach maximises the information extracted from the available data. We illustrate this concept with reference to the ‘GALAD’ model for diagnosis and the ‘BALAD’ model for prognosis both of which improve the utility of the individual constituent biomarkers.